I travel a lot – both for work and for family reasons (I live in Sweden but my family is in Ireland and South Africa). Long journeys of up to 30 hours are not unusual. I am not afraid of flying but I hate lugging heavy bags around airports. I usually carry magazines, spare underwear and t shirt, toiletries, medicines, earplugs, phone, Ipad, Filofax, water with me and in airports where there are no trolleys in the secure area, my bag gets heavier with every step. I start to hate it after about two hours and I never want to see it again within eight. 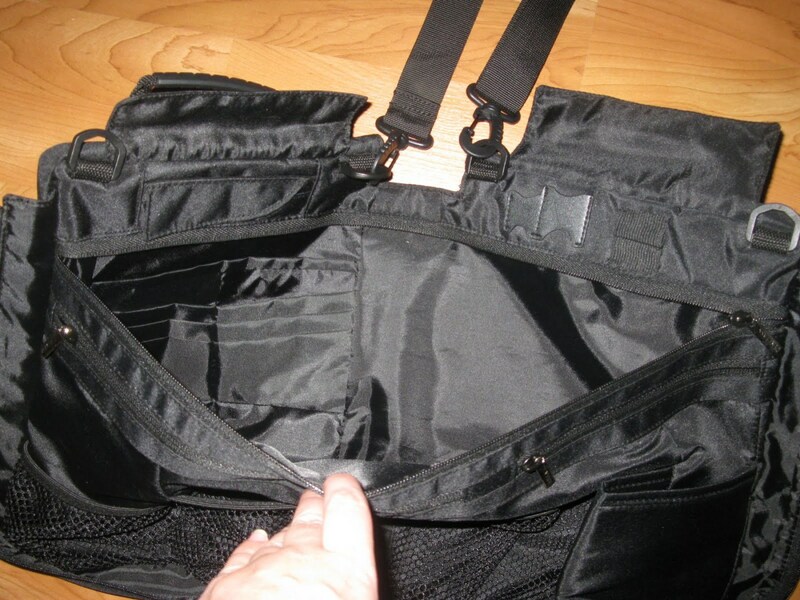 About eight years ago though I discovered Zen class travel organisers and I have not looked back. 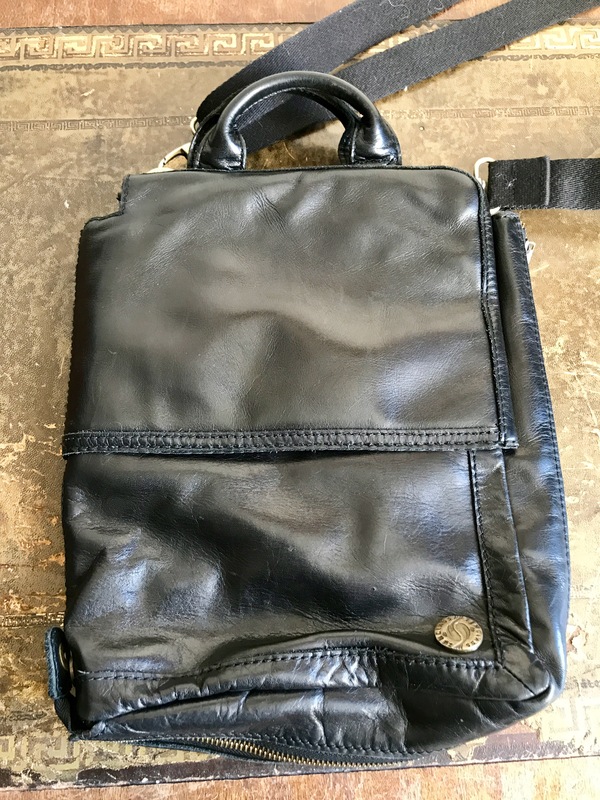 I have one in black leather but they were also available in nylon and in brown leather. 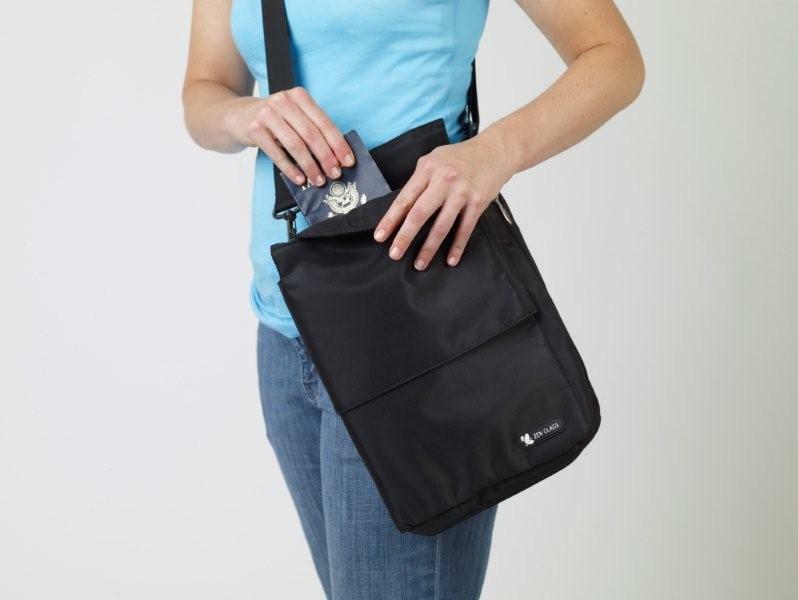 They were not pricey and were designed by frequent flyers for frequent flyers. I have used mine very heavily and all I have needed is to have one of the small loops stitched. 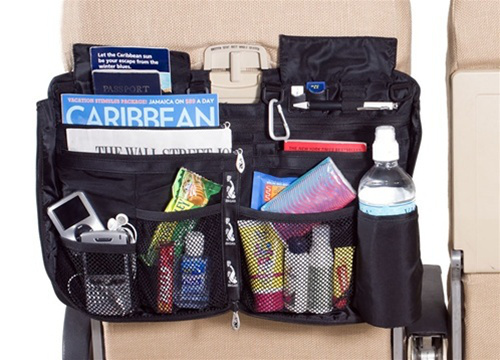 The bags have built in slots for credit cards, pens, usb sticks, water, passports, boarding cards and zip open to go over your folded tray table. So everything you need is in front of you and away from your feet. 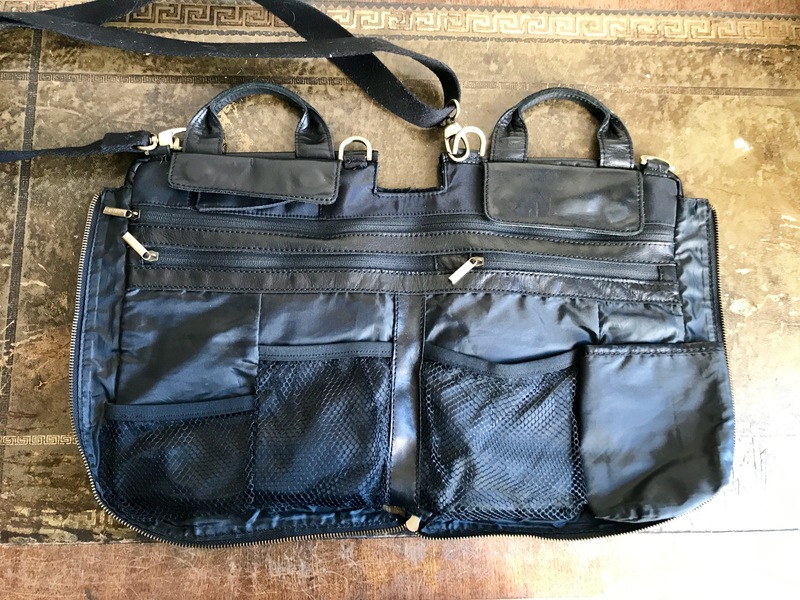 When you arrive at your destination just zip it up again and it is an amazing travel bag. 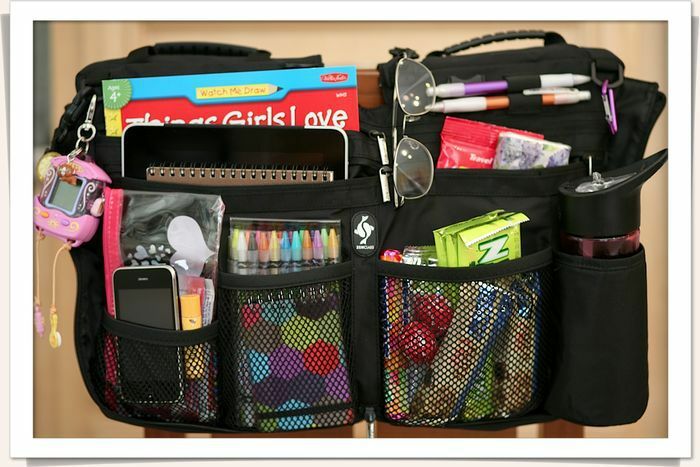 You don’t need a makeup bag or a wallet or a ticket organizer – your Zen does all that! It is also amazingly good for babies or travelling children – hang over a stroller when walking with your baby or fill with games and toys and hang it over your child’s tray table for amusement through a long flight. 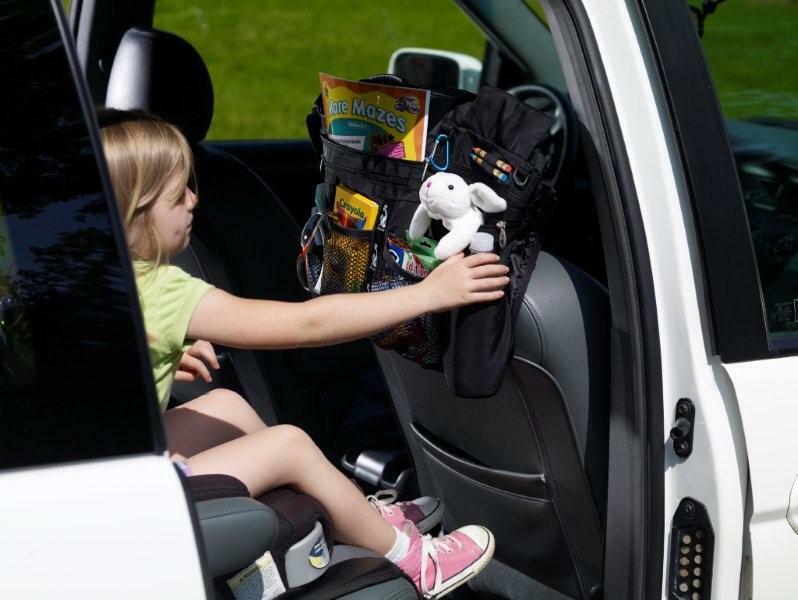 It is also nice if you are doing car or coach travel with kids – let them pack it with their favourites! Lovely soft smooth smooshy leather which takes a beating without showing any wear at all. Comfortable strap. 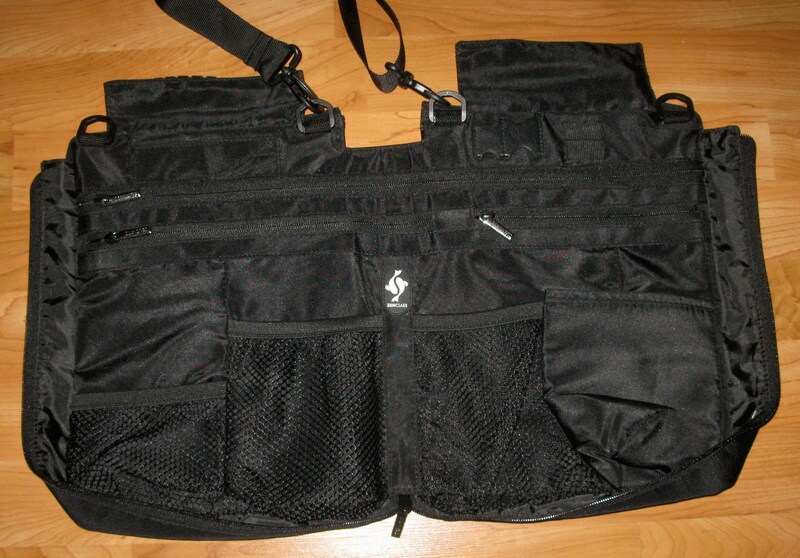 Extremely practically designed, not heavy, very safe for traveling, heavy duty hardware. 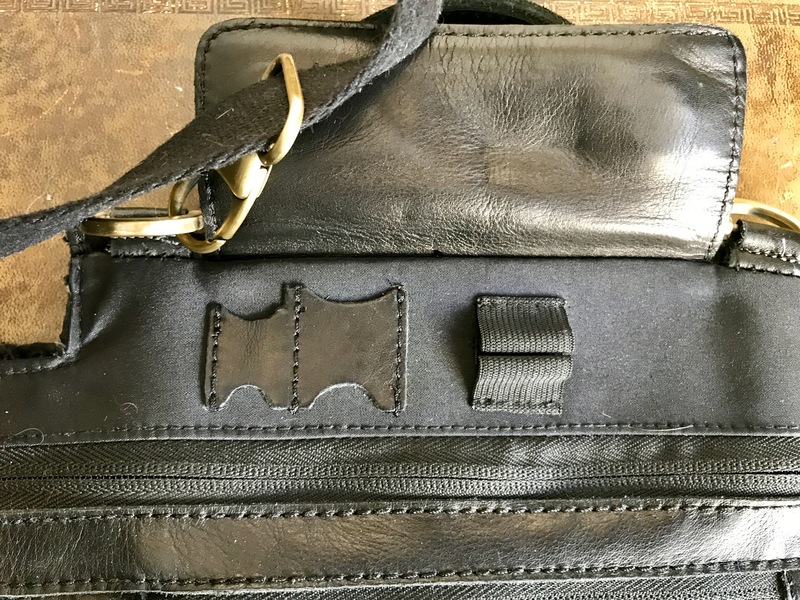 Carrying handles and detachable shoulder strap. 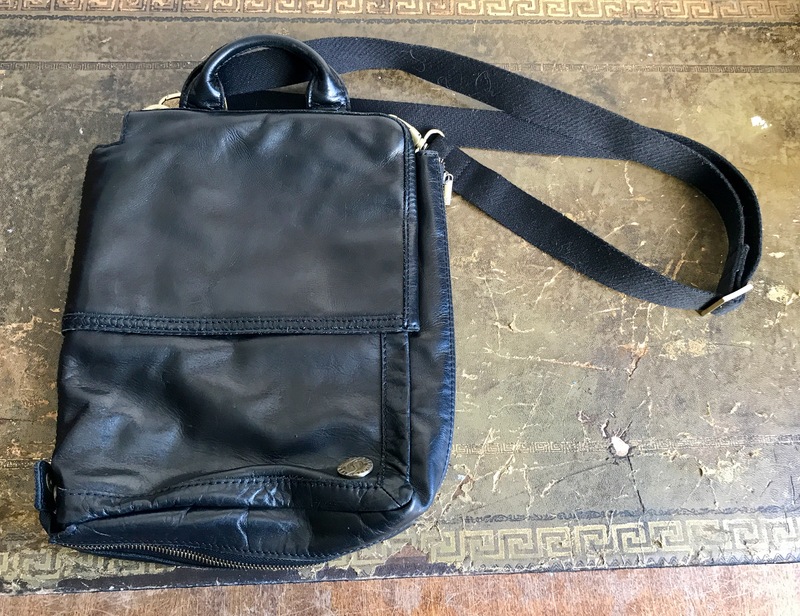 Available in leather and nylon. The nylon one is very cheap to buy so you could perhaps try that before investing in the leather which costs more. 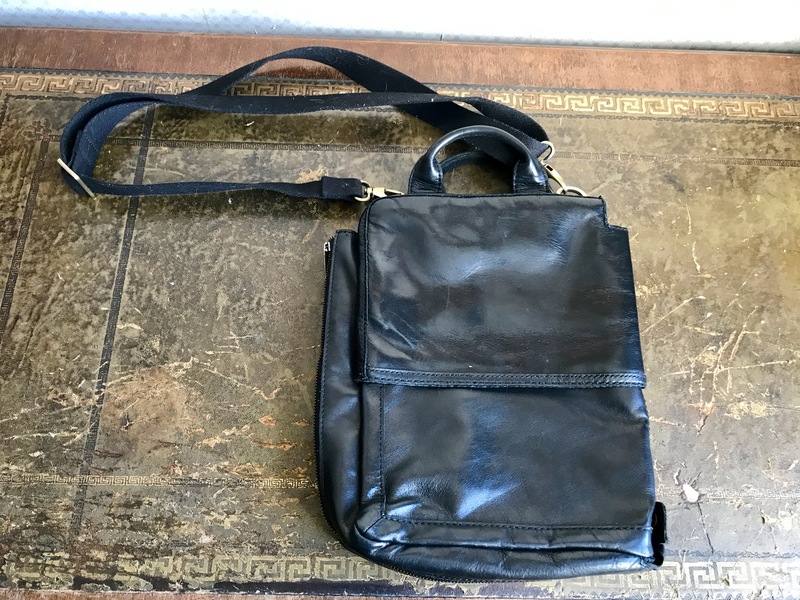 Can also fit over car seats and baby strollers if you need a bag to hold things to amuse children or take care of babies. Very light because you can’t overstuff it when it is closed. This is not a bag you can overstuff and it cannot carry ‘everything but the kitchen sink’. You can fit everything you need for a journey but not things like bigger cameras, or airport shopping. 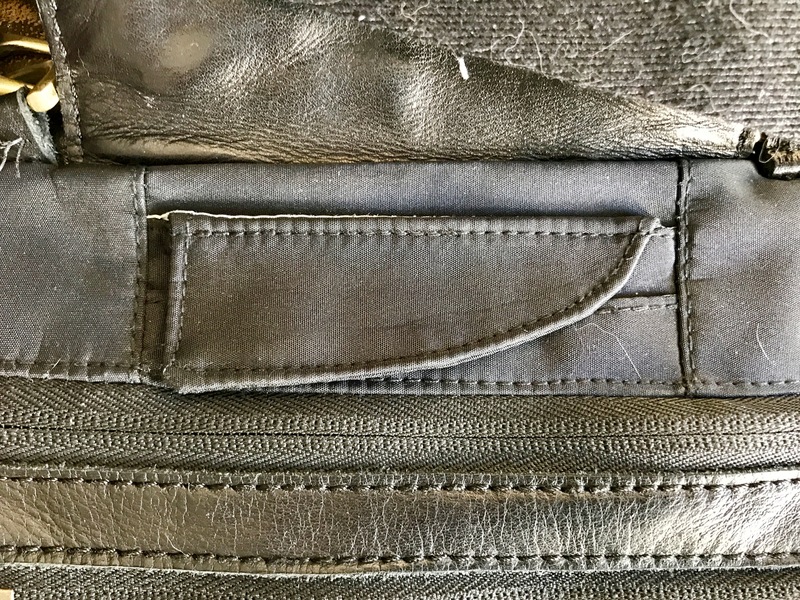 You also need to learn where everything is situated because there are so many pockets and zips. ‹ Nostalgia – how many can you recognise? 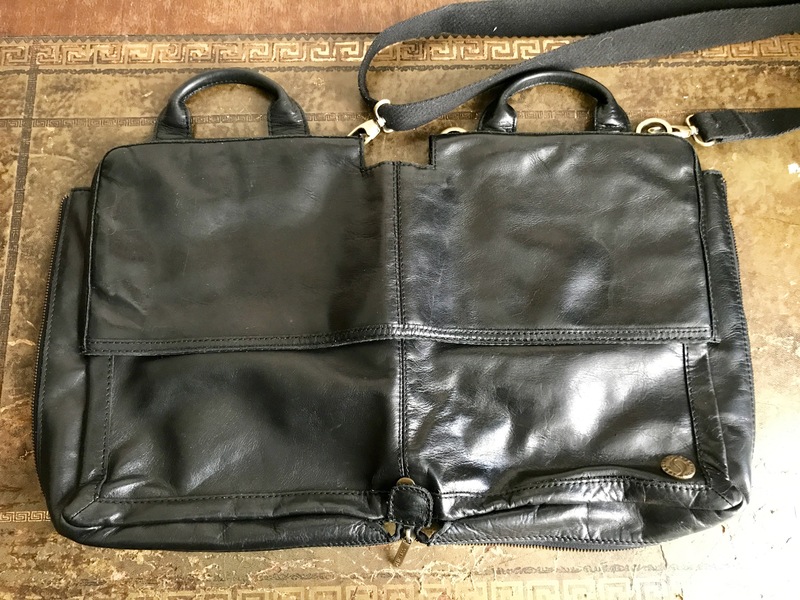 Have you found anyone who currently sells Zen Class – Nirvana Travel Organizers, or similar? The Zen Class company seems to have disappeared a few years ago, but I haven’t located any other retailers or distributors. It was a great product, but they all wear out eventually. I believe they were imported to the USA from China, manufactured by Baililian Leather Industrial Company. Hello there! I would be okay with selling mine if you would like to buy a gently used one? I’m interested, Janet. Please pm the details. I am back in Sweden next week and will contact you then!